Attorney Jennifer Koiles is an experienced family law attorney and a certified and trained mediator. 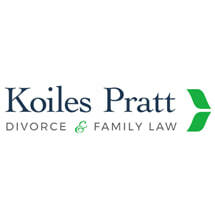 The well-established family law practice of Koiles Pratt Family Law Group serves people seeking cost-effective, client-centered divorce and child custody disputes. Divorce is a challenging but increasingly common outcome for many marriages. Traditional divorce through the court system takes a heavy toll on family finances and on family relationships. By contrast, a mediated divorce (or separation of unmarried parents) is almost certain to take less time and be more cost-effective than going to court. Mediation is a process that is controlled by the parties themselves, and therefore tends to provide a result that is more satisfactory to the parties, and does less damage to family relationships. They control the process of mediation with the help of a neutral third party, the mediator. Negotiations are handled in a safe, private environment rather than in an intimidating and stressful public family court setting. Couples can make joint decisions regarding custody, support and property, rather than having a judge issue an order. Costly legal procedures are averted. Clients of Koiles & Associates have found that divorce and child custody agreements achieved with the help of a mediator have been less financially and emotionally draining than courtroom battles. Mediation is suitable for couples with or without minor children. It works well for couples with few assets as well as for those with significant assets.